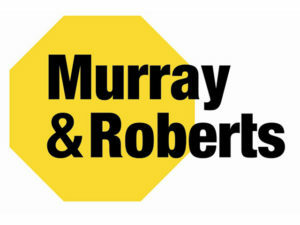 When listing the top construction companies in the industry, Murray and Roberts comes to mind. They do more than just construction in that they also leading in engineering contracting. The company has been responsible for creating many jobs and developing skills within technology and building infrastructure throughout South Africa since being founded in 1902. The company is listed on the JSE and headquartered in Johannesburg but has operations across 4 different continents, namely: North America, Asia, Australia and Europe. The Bursary was started 10 years ago, to support the dependents of qualifying Murray & Roberts employees to access tertiary education. The bursary isn’t a full bursary but it covers the essentials that ease the financial burden for parents putting their children through school. The scheme also provides vocational and career guidance, telephonic and face-to-face engagements, and study skills and life skills workshops. The bursary is for both high school and university students, and doesn’t provide for the full cost of the items mentioned above, but priority is given to tuition and registration if the student is in university and tuition and uniform for high school students. The discipline is open ended in that students can study anything that they get a firm acceptance letter for from their chosen tertiary institution. parents must confirm the qualifying employee criteria with HR department first at Murray and Roberts. Applications for bursaries open yearly on 1 March, and must be submitted by 31st August. For further information, email: liyandam@careerwise.co.za.